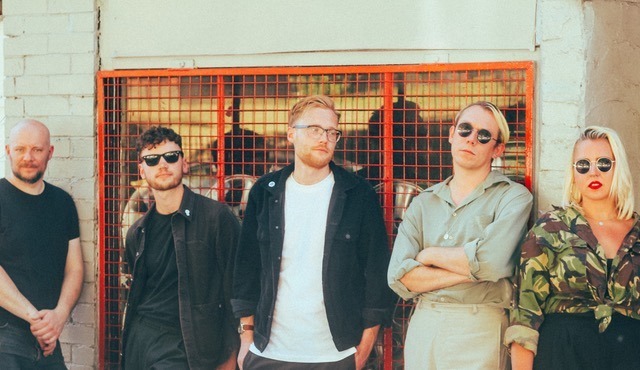 Leeds synth-led post-punk outfit FEHM have mellowed a fair bit since they first burst onto stages in and around their hometown three or four years ago. New single, ‘Scarborough Warning’ may lack the abrasive edges and wild, wide-eyed bass-driven gothy mania of early songs like ‘Sinking Sands’, but that isn’t to say this more commercial sound is without edge. This means that while Paul Riddle’s frenzied holler has softened to a brooding croon, and the instrumentation sounds less like X-Mal Deutschland and more like early Human League with a hefty dash of The Cure in the mix, not to mention a lead guitar part that’s pure (early) New Order, there’s a dark, melancholy edge to this slice of disco-pop. It’s heavy on reverb and imbued with a nagging wistfulness, and it’s also still deeply rooted in the first half of the 1980s. ƒauna’s style is billed as ‘dystopian avant pop’, and her second album is a magnificent mosaic of alienation. Vintage drum machine sounds click and pop out spartan rhythms, overwhich bibbling synths loop and ripple. The press release emphasises the album’s dominant themes – facing down an uncertain future, dissecting new digital identities, the importance of political activism – and points to the fact that Infernum is very much an album of our times. But so much of the album’s intrigue lies in its juxtapositional positioning, its straddling of contemporary and retro. This also applies in absolution to the sonic makeup of the album. The first track, ‘Primus’ has ƒauna outline – in a detached robotic voice – the circumstances surrounding the making of the album. It’s a perfect encapsulation of the album as a whole, a work of retro-futurism which may or may not be autobiographical. It’s a mistake to synthesis the artist and the art, and this of course connects with the issues of identity – in particular virtual and digital identities. Who is ever truly themselves on-line, in public, in company? In any context, identity is a construct, and ƒauna explores the layers of construction here. Supposedly emerging from ‘a dark crossroads between conceptual pop, downtempo hip-hop, and the euphoria of the club’, these influences manifest primarily in sparse electro compositions which resonate with the kind of tape-looping experimentalism of the underground of the late 70s and early 80s. The structures and overall production are sparse, the compositions perversely disjointed, deliberately angular, with . Then again, the rolling synth swell of ‘Death Fly’ and bouncy insistence of ‘Lonely at the Top’ are crisp pop, distilled down and refined to its purest, most immediate from, while elsewhere, ‘Went Home Got Lost’ pushes more overtly contemporary dance-orientated tropes to quirky but affecting effect. It’s an analogue take on an analogous representation of postmodernism: the collision of past, present, and future, with no clear distinction between the boundaries. And watching those boundaries dissolve with every clipped, synthetic beat is fascinating, and in some strange way, quietly exhilarating.